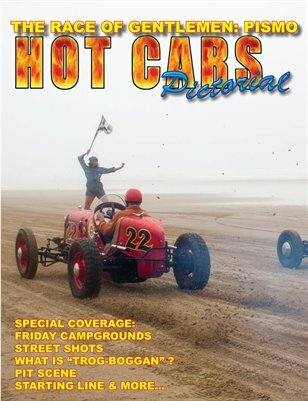 The Race of Gentlemen (TROG) can best be described as a 1930's or 40's re-enactment of that eras drag race on a ocean beach. If you attended TROG: PISMO, you want this very special pictorial to relive the weekend. If you have always wanted to attend a TROG event, you need this issue. 58 pages of fantastic photos, fantastic cars, fantastic action,NO ADS!